FABULOUS: What a great week! We have never experienced the "Real Mexico." What a great time. It was the perfect mix--time to relax, shop, and cook! The cooking classes were fabulous, the wine was wonderful and your hospitality was the best! We are coming back and bringing friends. GREAT HOSTS: This is the second time I have spent a week with you two. What a great time. You two really know how to throw a party! We are still talking about what a great city San Miguel de Allende is. Leave it to you two to introduce us to another great city. Any where you two go, I'm going! 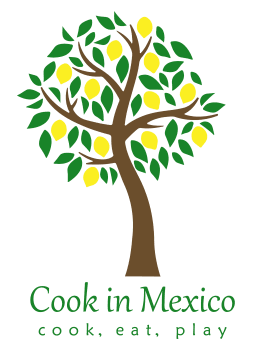 MEXICAN WINE: This was an outstanding week. Who would have thought Mexico had so many great wines? And the food...I haven't eaten in a week since I got back. Everything about this week was first class. Your house is perfect--the views form the rooftop were amazing. I really enjoyed being in the middle of the city and so close to everything. PERFECT: We had the best week ever.--it was perfectly planned. The weather was beautiful, the food was great, and the wine was fabulous. You two are outstanding hosts. We had so much fun that we wanted to stay in Mexico all winter with you. Thank you for such great hospitality. You to are wonderful. CHEFS: Who knew that we would be introduced to so many famous chefs! Their passion and energy is contagious. It was nice being able to be in the kitchen with them. I can't wait to get back home and make "street food!" I have to say the food tour was a highlight of the week. I never know I could eat so much. REAL MEXICO: I have been to Mexico at least 10 times...and this was nothing like anything I have ever experienced! I loved it! This was the first time I have ever eaten "real" Mexican food. The week was great--really good mix of activities . I will be telling everyone about this. HIDDEN TREASURE: Who would have thought Mexico could be so great! All of years traveling to Mexico and I have never experienced Mexico like this. You were right--San Miguel de Allende is magical. We really enjoyed learning to cook from the "experts" in Mexican cooking. I don't how you do it, but you continue to amaze me ! LOCATION: The weather, the food, the wine, the tequila...where do I start? I have never eaten such great tasting tamales! You were right--this is nothing like I have ever experienced in Mexico before. Thank you for "showing us the way!" Sign us up for anything you two do!